The Playoff Gold Finals will take place at Dramático Stadium. After one week of hard competition it´s time for the finals. The Finals are broadcast through the Portuguese National TV - RTP together with the tournament magazine. 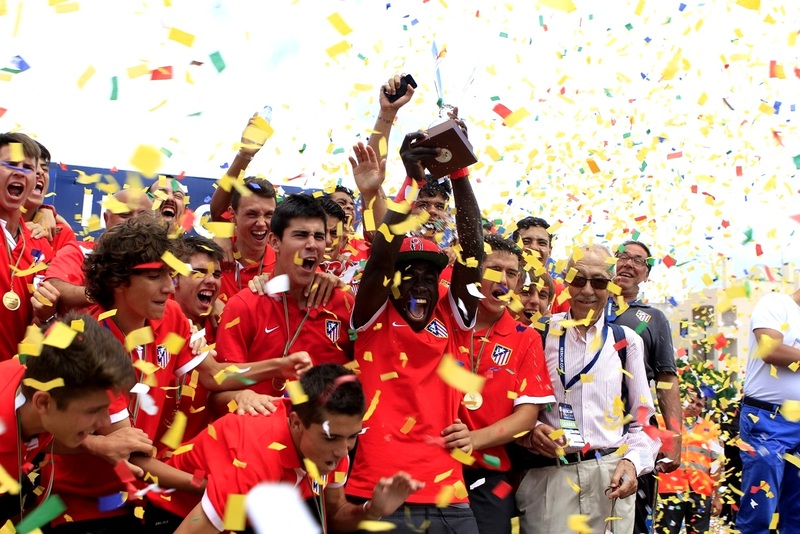 In front of 4.000 people 6 teams will become champions of IberCup Cascais. Playoff Gold Finals Boys will be played on Saturday at Dramático. The Playoff Silver, Girls Playoff Gold and Boys 7-size Playoff Gold finals and will be played on Friday. The Lunch on Saturday, for ALL teams with the accommodation package included is between 11:30h - 14:00h at Dramático. In the closing ceremony all participants will receive a prize. Closing ceremony starts after the last final ends on Saturday. Everyone needs to arrive a little bit earlier around 11:00h at Dramático Cascais Stadium. You can join us all morning from 8:30h and watch the exciting games and celebrate the winners with all of us.